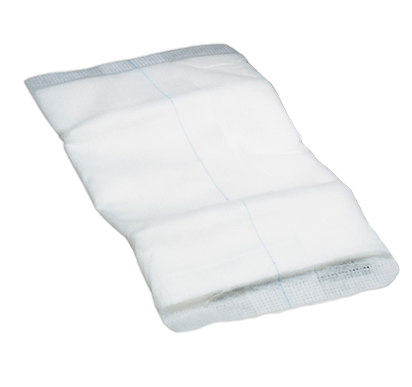 MedLine NON21459 Abdominal Pads 10 x 30 inch is a highly absorbent, sterile abdominal pad with a soft, non-woven layer and cellulose core that helps lift and separate fluid from the wound. 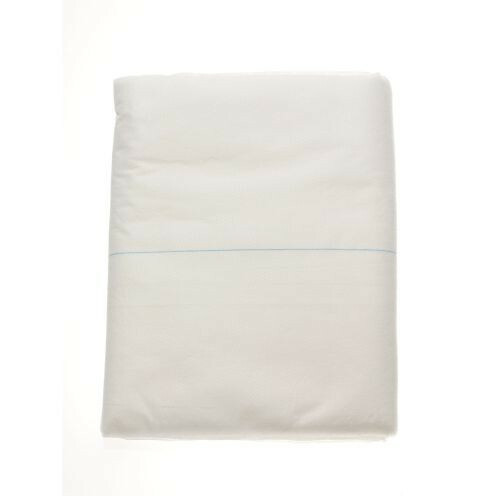 The initial layer of the pad has a non-woven core that's soft, allowing for quick lifting and wicking to the cellulose-contained middle layer. 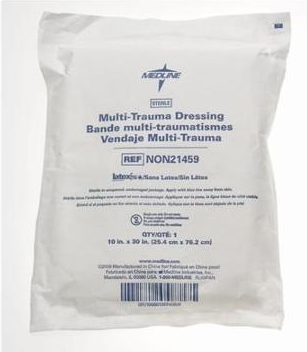 The extra thick mid-layer absorbs the fluid and disperses it across the remaining portion of the dressing. The back layer is made with hydrophobic material in order to prevent strike-through, while the edges are sealed to prevent linting. 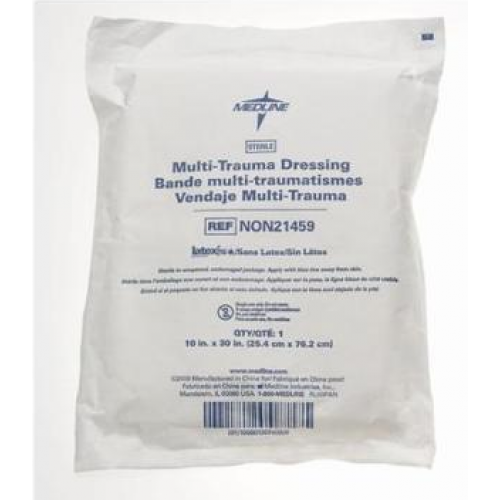 Each pad is individually-wrapped, cover up to 300 square inches of space and is made without using any latex material.